Type 5601 Sandblast hose is a specially formulated hose for the conveyance of sandblast materials. A highly abrasion-resistant, static dissipating, heavy wall hose 2 or 4 ply fabric reinforcement (most sizes). Outside dimensions are designed to be compatible with specially designed exterior bolt-on fittings allowing full-flow with no restriction or blockage. This hose is compatible with most common blast media -consult your equipment manufacturer owners manual to ensure compatibility. 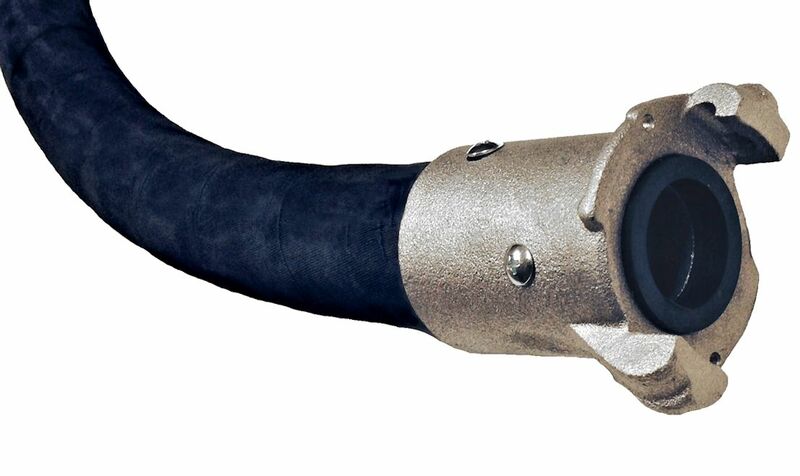 Shown with optional 2-lug quick connect coupling, bulk hose and other coupling configurations available.